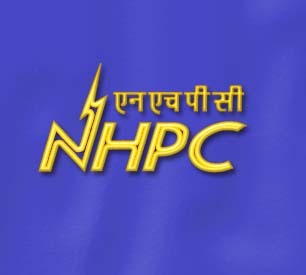 Union Petroleum and Natural Gas Minister Mr. Murli Deora ruled out the possibility of hike in petroleum prices in the near future despite rising trend in the crude prices in the international market. The minister, speaking on the sidelines of a conference in Mumbai, added, "There's no need to talk about revision just now. Let price stabilize first." The Union government, through the Pension Fund Regulatory and Development Authority (PFRDA), is set to introduce new pension scheme aimed to cover a large number of the workers in the unorganized sector. Most of the workers to get benefit from the scheme are illiterate and financially incapable to meet minimum requirements to qualify under any pension scheme. The new Direct Tax Code, unveiled last week, proposes drastic changes in the structure of Minimum Alternate Tax (MAT), the minimum amount of tax to be paid by any company if its tax liability on total taxable income falls short of 15 per cent. Under new norms, MAT will be charged on the company's gross assets including fixed assets, capital work-in-progress and book value of all other assets, instead of the book profits while there will be no provision of MAT credit. The Chairman of the Empowered Committee of State Finance Ministers, Dr Asim Dasgupta has asked for constitutional amendment for introducing new tax regime-Dual Goods and Services Tax (GST) in the country. Dr Dasgupta discussed the matter with the Empowered Committee in Delhi and reflected, "A constitutional amendment is required. A working group will parallel look into this issue." The committee discussed various issues such as list of exempted items, the threshold limit and the rate structure of GST items without impacting the interest of common people. 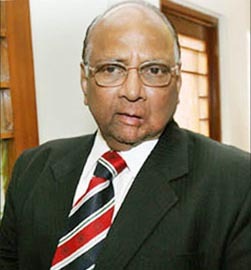 Visibly upset over ever increasing food inflation in the country, Union Food and Agriculture Minister Sharad Pawar has urged states to take steps to check hoarding and black-marketing of essential food commodities. Addressing the state chief secretaries, Mr. Pawar said that rumors and speculations are also a leading cause of increase in prices of pulses, besides deficient rainfall across almost all geographical regions. He urged top bureaucrats to use their special powers to check black-marketing and hoarding and to make food items available at a reasonable price. New Delhi, July 30 : Even as the ruling UPA emphatically and vociferously defended the signing of the recent India-Pakistan joint statement in Sharm-el-Sheikh, Egypt, the Bharatiya Janata Party (BJP)-led opposition walked out of the Lok Sabha on Thursday afternoon, specifically protesting on the issue of Balochistan and the delinking of terror from the composite dialogue process. The government has passed another benefit for economic revival after the union budget by announcing special concessions for the housing sector in a bid to revive demand in the segment. Finance minister Pranab Mukherjee announced one per cent reduction for home loans besides extending tax holidays given to the industrial parks. The FM, hoping 8-9 per cent growth rate by the end of 2010, informed Lok Sabha that commercial banks will offer 1 per cent subsidy on home loans not exceeding Rs 10 lakh. Government will address all genuine concerns of industry while framing new Foreign Trade Policy (FTP). Union Commerce and Industry Minister Anand Sharma, in a meeting organized by the Confederation of Indian Industry and the Federation of Indian Export Organizations (FIEO), said that measured will be taken for diversification of export sector providing it special incentives to beat the adverse impact of global slowdown. 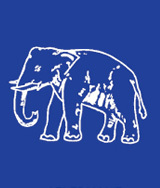 Lucknow, July 18 : Uttar Pradesh Chief Minister and Bahujan Samaj Party supremo Mayawati announced that her party would carry out State wide agitation in Uttar Pradesh on July 22 against the policies of the UPA Government at the centre. Addressing a press conference here on Saturday, Mayawati criticized the Center's decision to hike the prices of petroleum products. The union government may lift administrative control over petroleum products but any decision would be taken considering the interests of common man. Union Petroleum Minister Murli Deora said that government always revised prices in tandem with prices of crude oil in the international market. Government is already doing enough to provide Kerosene and LPG to people at reasonable prices and it has sanctioned Rs. 30,000 crore subsidies for the same for the current financial year. Union Finance Minister, Pranab Mukherjee ruled out any immediate hike in interest rates in near future despite high public expenditure and consequent heavy market borrowing by the government. The central government is already undertaking debt management plans to control widening fiscal deficit. Mr. Mukherjee said, "I have already spoken to the board of directors of RBI. We shall do debt management in such a way that interest rates will not go up." Planning Commission Deputy Chairman, Mr. Montek Singh Ahluwalia said that 8 to 9 per cent growth rate is feasible and can be achieved using some concrete and purposeful actions. Mr. Ahluwalia, while commenting on the forthcoming union budget on July 6, said that the budget will be a popular but growth oriented. However, Mr. Ahluwalia declined to further elaborate the measures taken by Finance Minister in the budget to revive demand across the key economic segments. Union Steel Minister Virbhadra Singh, while setting his priorities for the ministry, said the government would increase investment for the expansion and modernization of state-run steel plants to increase their production capacity and efficiency. Mr. Singh, in his first visit to Himachal Pradesh after assuming charge of steel ministry, said, "Our main priority is to expand and modernize the state-run steel plants so that their capacity would be doubled." Prime Minister Manmohan Singh, himself an economist of international repute, is doing his best to make the governance efficient and responsible to achieve the government's 100-day checklist. The Prime Minister, in a bid to meet 100 days target, held an interactive meeting with his officers in PMO and sought their views to achieve government's agenda. Minister of State in PMO, Prithviraj Chavan and top bureaucrats, including principal secretary T K Nair and national security advisor M K Narayanan, were also present in the meeting. Minister of Petroleum and Natural Gas for a second consecutive term, Mr Murli Deora, informed that the Govt. of India is considering the issue of deregulation of auto fuel prices. The decision regarding this issue will be taken soon by the cabinet. Deora further said, "The issue of deregulation is being discussed and it will be put up to the Cabinet for a decision." According to analysts, with the Forward Markets Commission (FMC) in India putting curbs on futures trade in sugar, the sugar futures on Wednesday plummeted to touch the 4 percent final lower track on the Multi-Commodity Exchange (MCX). With the FMC announcing the shelving of the launch of new sugar futures contracts until 2009-end, on Tuesday, to check the rise in prices of sugar, speculators trimmed down their positions. However, traders can not take new positions in current contracts. For the tenth successive week, inflation remained below the one percent mark, for the week that ended May 9. However, compared to the earlier week’s 0.48 percent wholesale price index, the May 9 week index rose 0.13 percent to reach 0.61 percent. The inching up of the week-over-week inflation figures resulted from the rising prices of vital food items, such as cereals, spices, tea, vegetables and fruit. Moreover, even the prices of manufactured goods like sugar, gur, imported edible oil, synthetic yarn, and steel ingots also showed an increase during the mentioned week.